Karen R.J. Kingsborough, 71, of Fremont, OH passed away on March 17, 2019 at St. Vincent Mercy Medical Center in Toledo. She was born November 27, 1947 in Fremont, the daughter of Raymond J. and Jane (Shewell) Suhrer. She was a graduate of Fremont Ross High School and received a bachelor’s degree in education from Bowling Green State University. Karen married William “Bill” Kingsborough on November 27, 1985 at Hayes Memorial United Methodist Church and he survives. 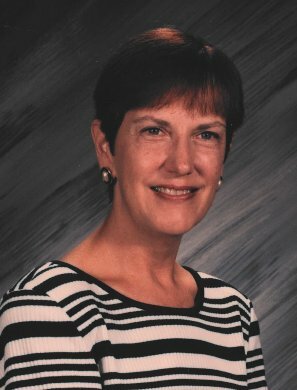 She was a teacher at Fremont Jr. High School for thirty years and retired in 1999. Karen was active and loved working in the Fremont Community Theater for ten years. She was a member of Sacred Heart Catholic Church and loved to play the piano, read, write poetry and wrote a book about Riley School when it was a seventh-grade school. Karen is survived by her husband of thirty-three years, William “Bill” Kingsborough, Fremont, OH; step children, Elizabeth A. (Jeremy) O’Hara, Virginia, Jonathan L. (Jessica) Kingsborough, Tampa, FL, Aaron R. (Emily) Kingsborough, Columbus, OH; brother, Scott E. S. Suhrer, Fremont, OH and eight step grandchildren. She was preceded in death by her parents; aunt, Jean Shewell and her grandparents. Memorials can be made to Sacred Heart Catholic Church, Sandusky County Food Pantry or Humane Society of Sandusky County. Susie and I have not known Karen and Bill for a very long time but we shortly realized that she and Bill were a wonderful couple. I especially respected her in the way that she addressed various sicknesses either with her or Bill. She was a Lector with me at Sacred Heart and whenever she needed a sub or I did both of us would not hesitate to help each other. Quite often she and I talked about various issues and the one thing that I admired was her unselfishness and understanding. Susie and I were completely taken back upon seeing that she had passed. Her family can be proud of her and we will forever remember her very fondly. Please accept my sincere condolences on the loss of Karen. I have fond memories of her both as a teacher and on a personal level. May she RIP and may God comfort you as you cherish her memory. Uncle Bill. So sorry for your loss. My heart breaks.She will truly be missed. Thinking of you all. Dear Bill and family, Our hearts go out in sympathy for your loss. The only words we can offer are think of all the good memories; may Our dear Lord bring some peace and comfort to the family. Very sorry to hear about your loss. May you and your family gain comfort from God’s word at Isaiah 26:19. “Your dead will live. . . the earth will let those powerless in death come to life.” A time will soon come when you will be able to see your loved one again right here on earth. I am sorry for your loss. I taught with Karen at the Junior High. She had such a great sense of humor. We are very sorry for your sudden loss, Bill. God bless you on this journey and we hope your own health is improving. Please don’t hesitate to call on us if we can help you in any way…family first! Bill, I am so incredibly sorry for your loss. Karen will always hold a special place in my heart. She was a great lady. II had her for English last period of the day way back in the 7th grade. She would reserve the last 20 minutes or so each day to read aloud to our class. My favorite book was ‘The Outsiders”. It was like meditation at the end of the day as she asked us to close our eyes and just listen to her voice. Her voice was unique and smooth. Years later, I would listen to her again (this time with eyes open) as she proclaimed the word of God at Church. I truly it when she Lectored and as an old habit, I was sure to play close attention knowing that SOMEDAY there will be a quiz. STAY GOLD Mrs. Kingsborough. Bill, I am just learning of Karen’s passing. Sending condolences and prayers for you and her. RIP Karen you will be missed!